Not sure what’s the difference between eyelets and crochets? two intricate fabrics; so you’ll know a little more on what you are wearing! Not sure what’s the difference between eyelets and crochets? Here’s a little fabric tutorial on all the things you need to know about these two intricate fabrics; so you’ll know a little more on what you are wearing! 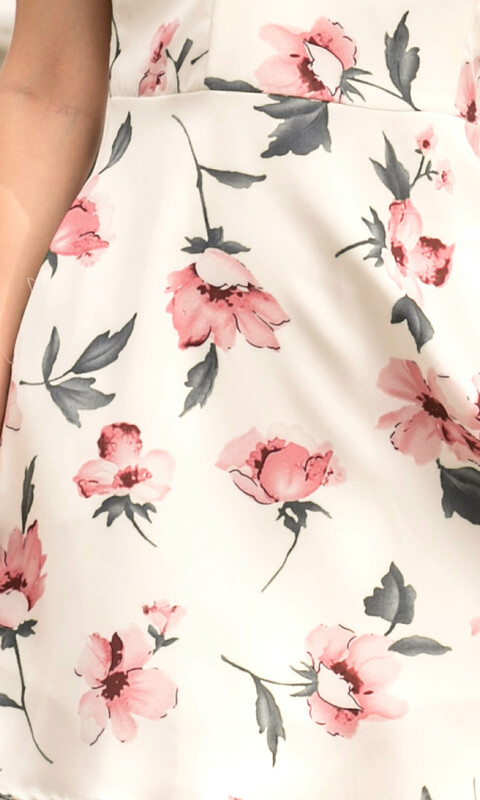 This type of eyelets are much more intricate than classic eyelet holes, with eyelet designs further delineated with embroidery stitches to create repeated floral patterns. An intricate fabric manipulation technique that dates back to the 16th century; it is like wearing a beautiful part of history on your sleeve! Eyelets are originally called Broderie anglaise, which means “English Embroidery” in french. of the fabric, then bound with overcast or buttonhole stitches. Eyelets are originally called Broderie anglaise, which means “English Embroidery” in french. It is characterised by patterns composed of round or oval holes, called eyelets, which are cut out of the fabric, then bound with overcast or buttonhole stitches. Eyelets add cooling properties to the already cooling cotton fabric base. Originally, holes were manually punched out with an embroidery stiletto before finishing the edge; in other cases, the fabric was embroidered first, and the hole was cut afterwards, with scissors. Now, such techniques can be produced with machines! Eyelets add additional cooling properties to the already cooling cotton fabric base. Originally, holes were manually punched out with an embroidery stiletto before finishing the edge; in other cases, the fabric was embroidered first, and the hole was cut afterwards, with scissors. Now, such techniques can be produced with machines! the French term crochet, meaning 'small hook'. Crochet is a process of creating fabric by interlocking loops of yarn, thread, or strands of other materials using a crochet hook. The name is derived from the French term crochet, meaning 'small hook'. 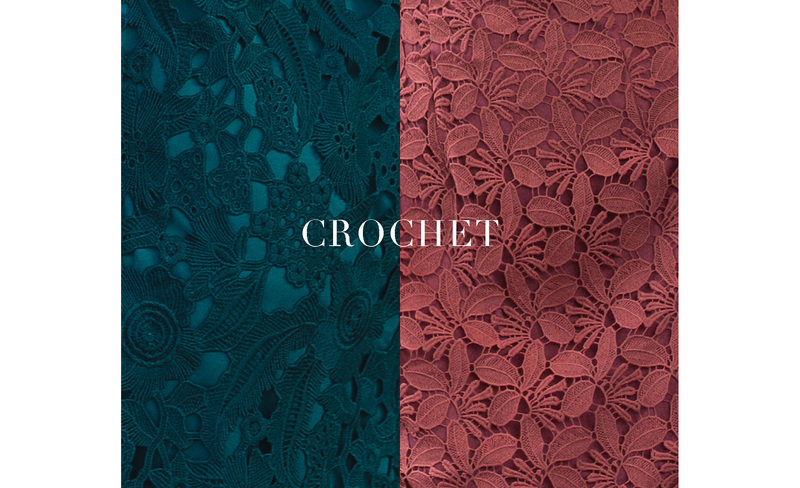 Most of the fabrics that are said to be crochet are actually crocheted lace. As crochet can only be achieved manually by hand, crocheted lace can be achieved by machine. 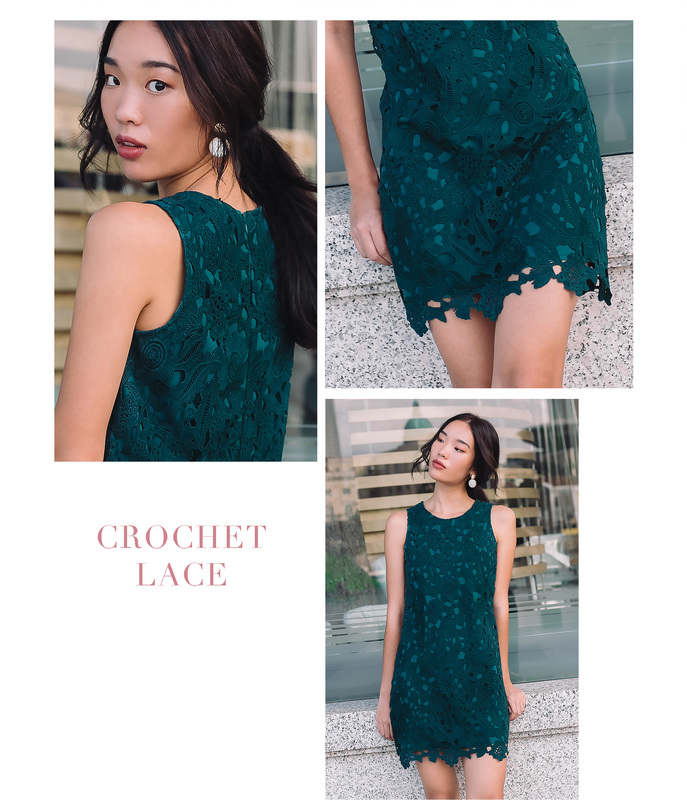 Crochet lace generally uses finer threads and more decorative styles of stitching, often with flowing lines or scalloped edges to give interest. crocheted dresses and go impress your peers with your new fabric knowledge! Now you know a little more about intricate fabrics, it’s time to pick up your eyelet or crocheted dresses and go impress your peers with your new fabric knowledge!